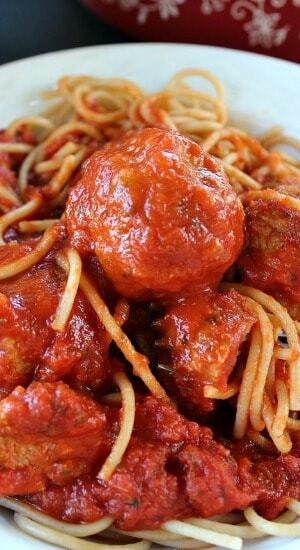 I decided to make this turkey meatball spaghetti for my friends at work, my meat lovin’ readers and those who just love turkey! Being Vegan was great, and my family and I need to get back into that lifestyle again soon. Being vegetarian isn’t to bad either! However, this is definitely neither of the two. 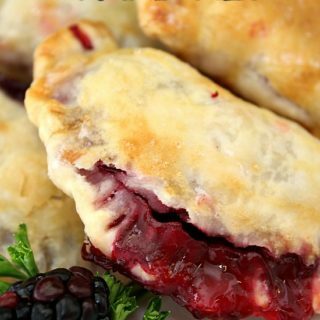 This recipe is on the healthier side. 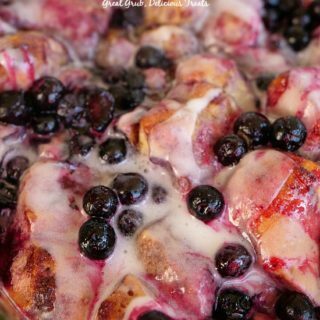 Anytime I make a recipe, I try to use the best and healthiest ingredients, also using organic products is important in my recipes as well. 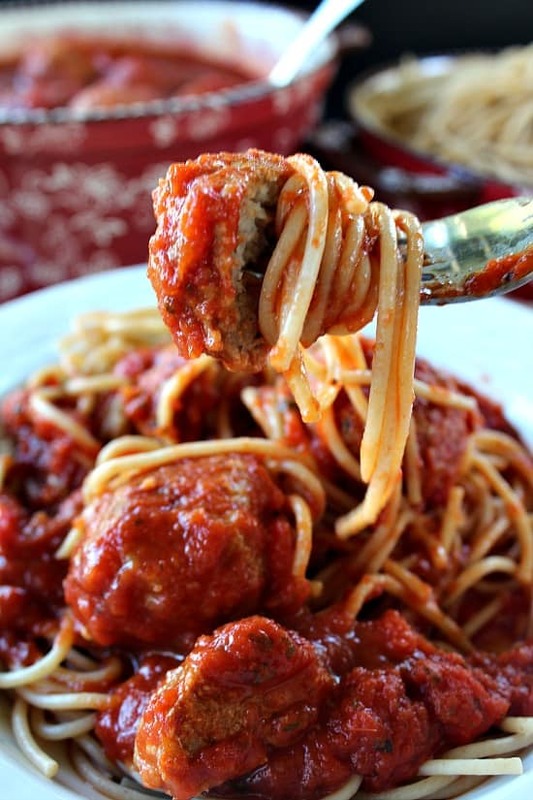 This turkey meatball spaghetti is loaded with meatballs! 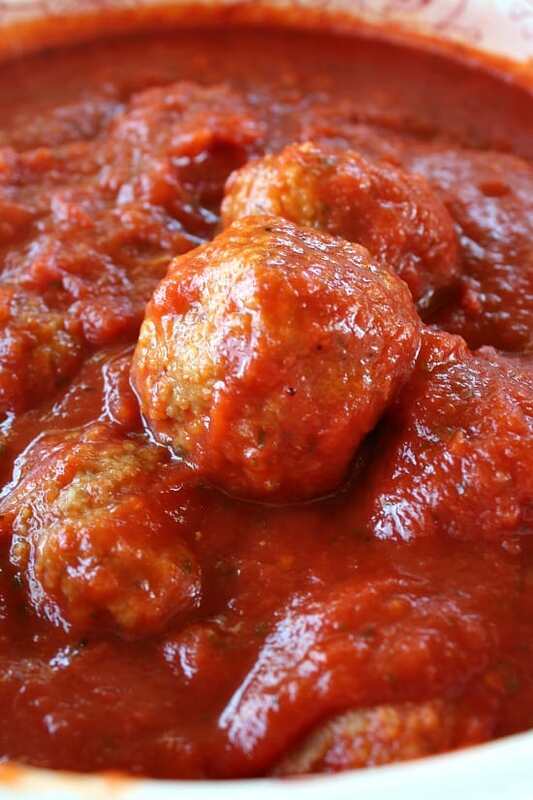 I remember the very first time I made meatballs (when I was in my early 20’s), I fried them in a pan. That was a bit of a disaster. 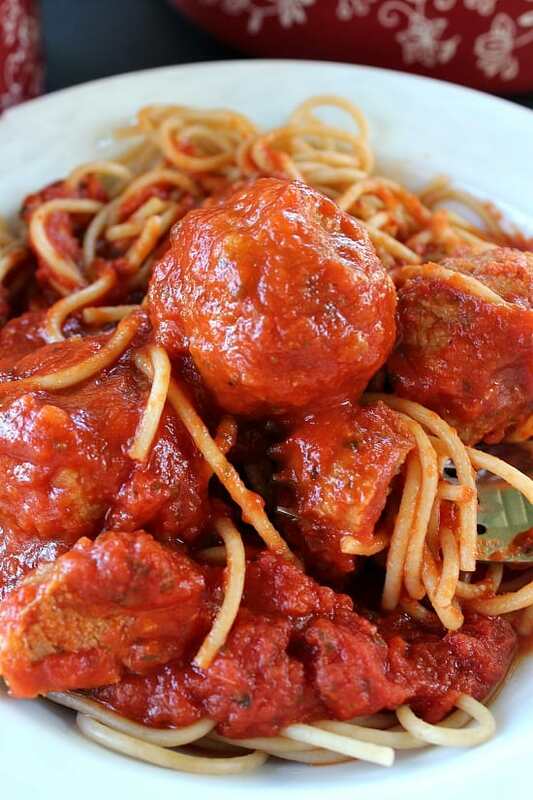 It wasn’t until a few years later that I realized cooking meatballs in the oven was so much easier and convenient. Being a stay at home wife/mom back then, I had a lot to learn when it came to preparing meals for my family. 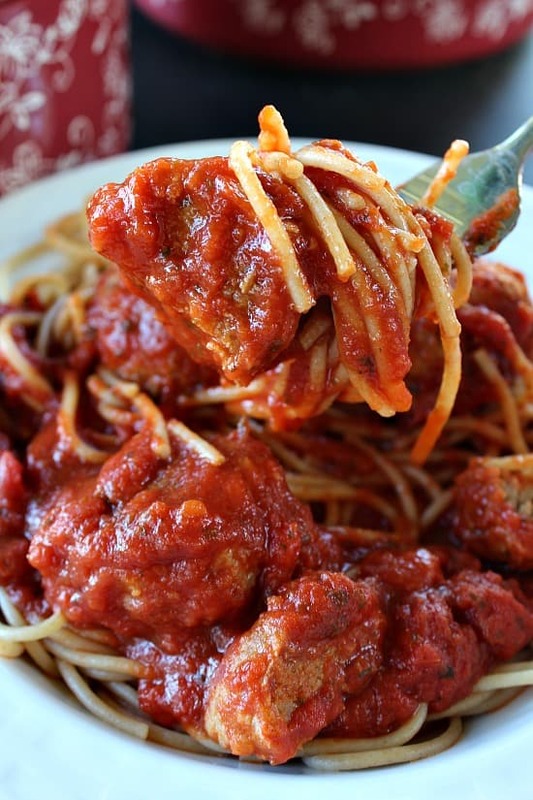 Meatballs and spaghetti will definitely satisfy those pasta cravings! My “BFF” at my current job, Lily, had asked me how to make meatballs. She made them and said her turkey meatballs turned out delicious! It is always fun to share recipes and ideas with friends and co-workers, and with all of you too! 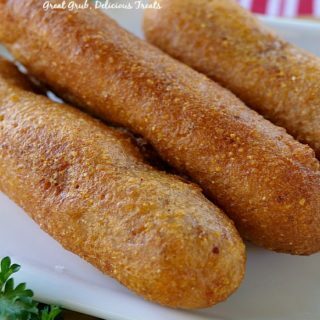 I hope you enjoy this delicious recipe. With the left overs, how about a nice turkey meatball sub sandwich? Sounds good? Go ahead, add some Parmesan cheese, maybe some provolone, and have a nice delicious sandwich the next day! Yum! Preheat oven to 350° and spray a large cookie sheet (with sides) with a non stick cooking spray. 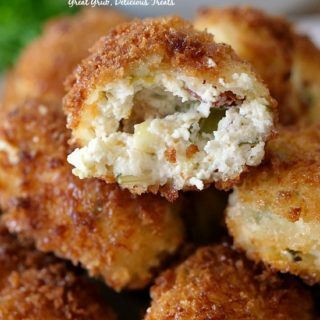 In a large mixing bowl, mix with clean hands, ground turkey, eggs, bread crumbs, celery, parsley, oregano, garlic salt, salt and pepper together until just combined. Roll turkey mixture into 28-30 meatballs and place on prepared cookie sheet. 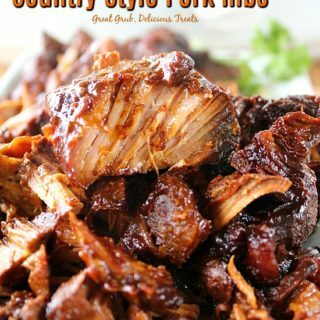 Cook for 18-20 minutes, depending on the size, or until done. 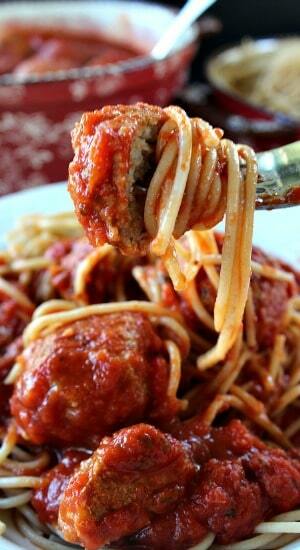 Add to your favorite spaghetti sauce and cook until sauce and meatballs are heated completely. In a dutch oven or large pan, cook pasta according to package directions. 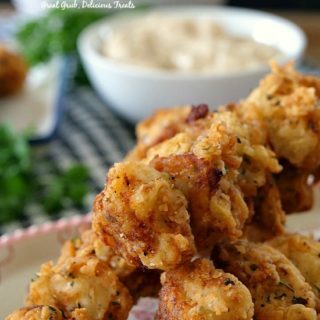 Serve with your favorite dinner salad and some delicious garlic bread.